The Women, Family and Territory program was designed by and in collaboration with indigenous women of different ages, ranging from 16 to 92 years old, with the goal of facilitating the preservation, revival and transmission of art and oral traditions, as well as traditional medicinal and food systems, through transmission between generations. The program plans to offer nineteen workshops, involving fifteen apamamas (elder women), thirty young women and three indigenous female leaders (two apprentices and one confirmed leader) from three Kichwa communities: Canelos, Arajuno and San Jacinto. Traditional art forms such as pottery & basket weaving and other arts and crafts. Traditional medicinal systems such as medicinal plants and healing techniques. Traditional food systems such as food gardens (chacra) and wild harvesting. Oral traditions, such as stories of the ancestors, the origins of medicinal and food plants, as well as others relating to the teachings of the elders and learning of the young. 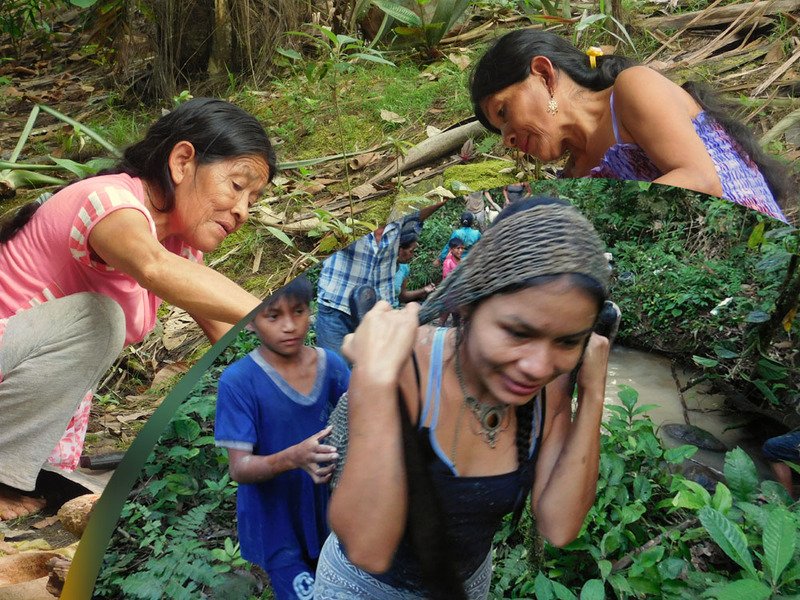 This project will facilitate a series of gatherings between elder and younger Kichwa women from the Ecuadorian Amazon to reflect on their current circumstances around health care, food production and nutrition, traditional arts and oral traditions. It aims at creating interactive spaces for a continuous exchange amongst the women to reassess the importance of their traditional knowledge in the context of modernity.